Forgetting those things of the past, i.e. combs, brushes, picks, flat irons, grease, perms, weaves, extensions, Jeri Curls, Brazilian Blowouts…You get the picture. When we answer the call to come home to Sisterlocks the aforementioned things become things of the past. We box up the products under the bathroom sink and sing songs of praise that our bank accounts will reflect the extra cash from not having to purchase every new product that comes along. Wearers of Sisterlocks have embraced not only a hairstyle but a lifestyle which enables you to have more hours in your day. There’s nothing quite as wonderful as not worrying about what to do with your hair. Wearing my hair in this style has liberated my life in so many ways. My only regrets is that I didn’t get my locks earlier. When I met Dr. Cornwell, the originator of Sisterlocks I absolutely loved her beautiful locks, I couldn’t wait to get my locks. After my consultation I got cold feet and wasn’t as ready as I thought. I wasn’t ready for the permanence of the style. I made up my mind about two years later after attending a book signing with Dr. Cornwell. At the book signing I was surrounded by beautiful locks in all shapes, sizes, lengths, and colors, there were gray locks, sun kissed locks, you name it they were there in all their glory. That was all I needed, I made my appointment and was locked within two months. If you’re on the fence about getting Sisterlocks keep doing your research. 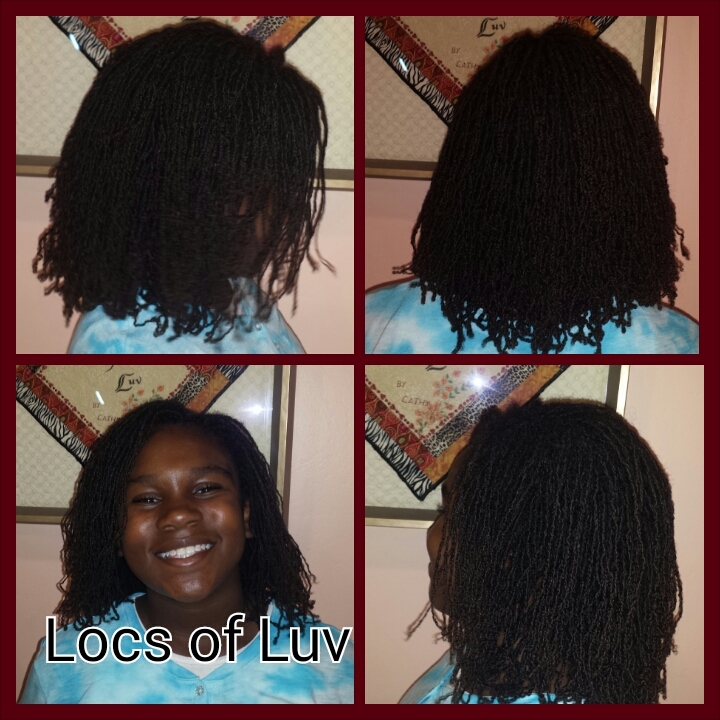 Make sure you visit the Sisterlocks website. There you’ll find tons of information, a beautiful locks gallery as well as a list of Certified Consultants/Trainees. When you decide to come home you want to make sure the person is qualified to assist you on your journey. 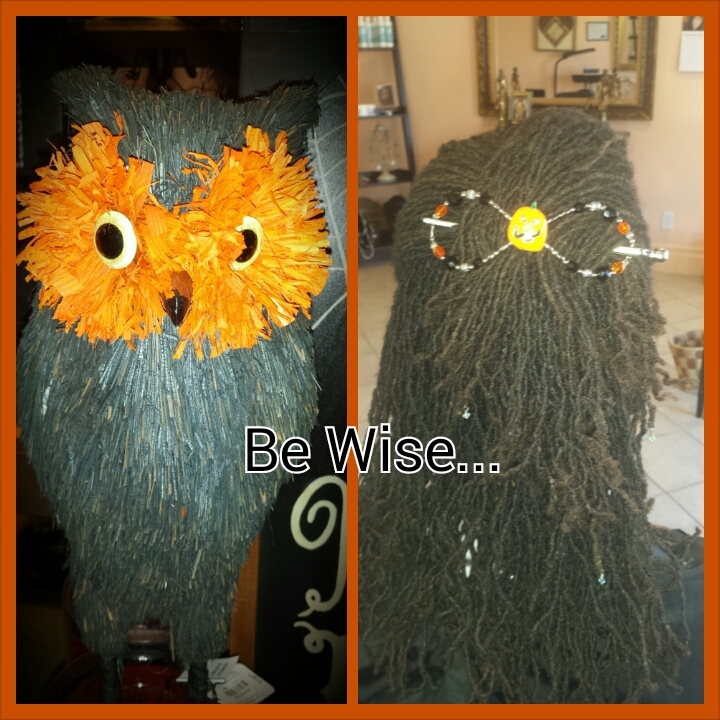 Come home to Sisterlocks and forget about what was under your sink. 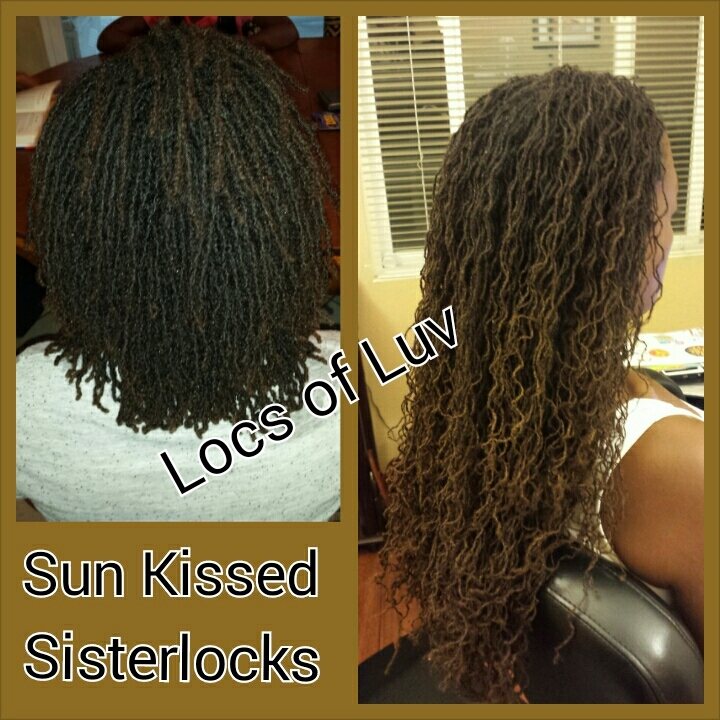 Visit http://www.sisterlocks.com for more information. 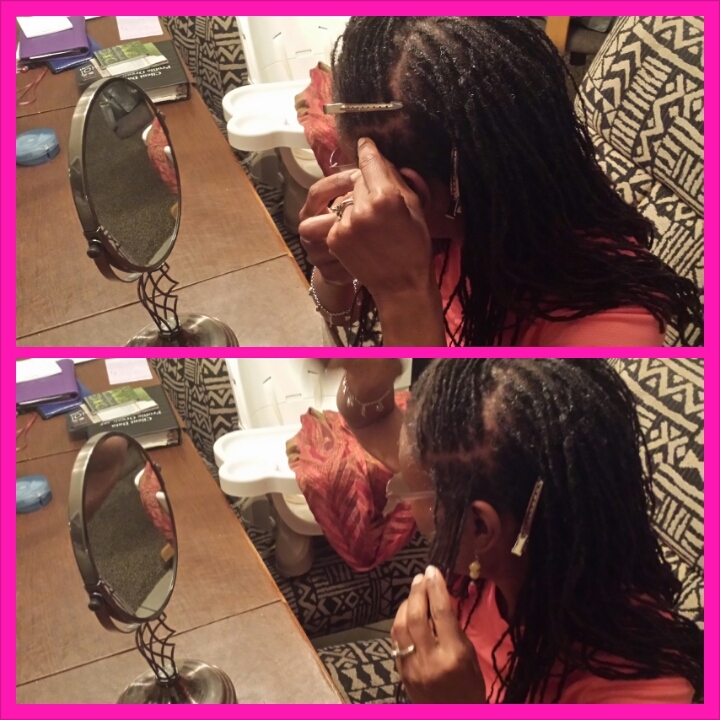 So you think you’re ready to re-tighten your own Sisterlocks…Are you? 1. You must have Sisterlocks. This means that your locks were put in by someone who was trained, an authorized person, i.e. 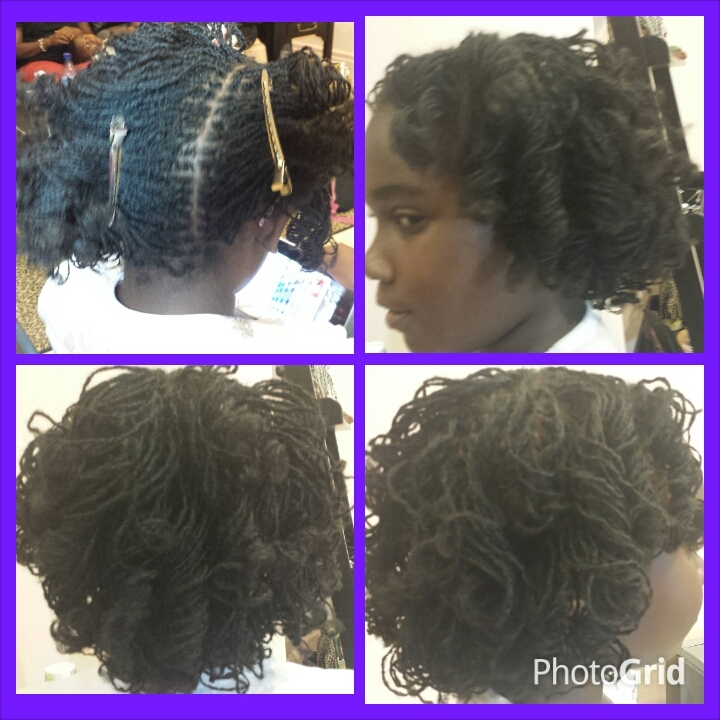 Sisterlocks Trainee, Certified Sisterlocks Consultant or a Trainer. 2. You must know your locking pattern, simply ask your Consultant for this information. 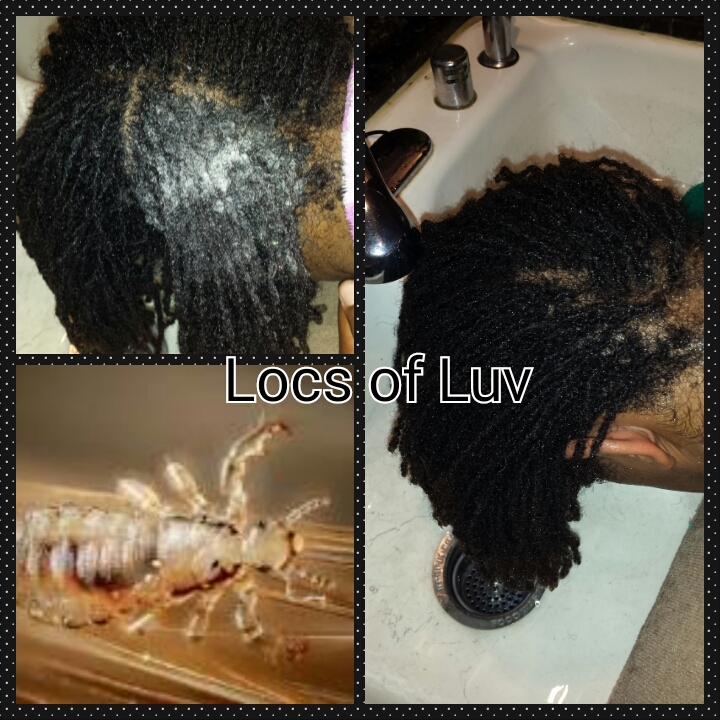 You will only be taught how to re-tighten your locks using your locking pattern. You will not be taught how to start locks, repair locks are groom your locks. 3. Your Sisterlocks must be completely beyond the settling-in phase. The settling-in phase is a phase that all Sisterlocks go through. During the settling in phase your Sisterlocks are doing just that, settling into the Sisterlocks style, they’re becoming more stable as time goes by. When you first get your Sisterlocks you’re given special instructions on caring for your locks. Keeping your regular appointments and following your Consultant’s instruction on caring for your locks between visits will facilitate the settling in process. It’s recommended that you have your locks for at least six months before considering taking the class. 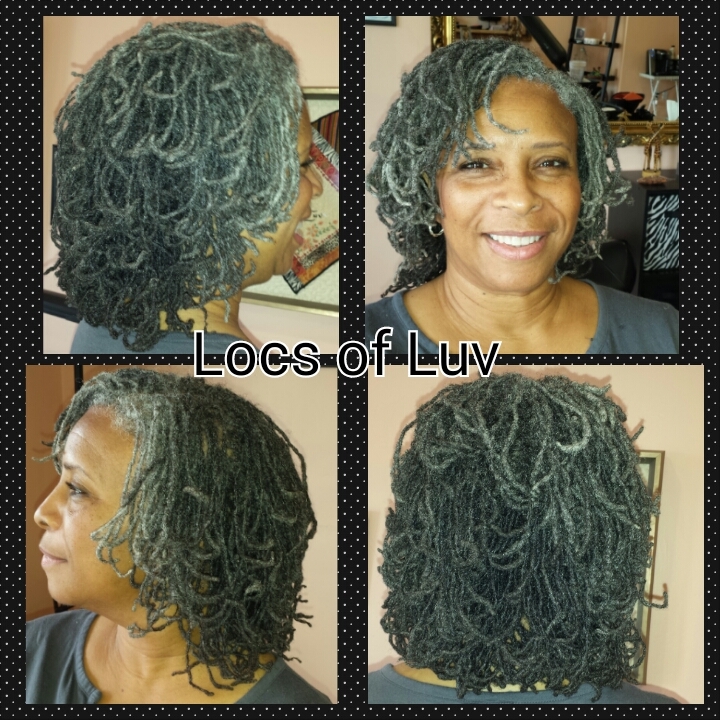 Your Sisterlocks Consultant is your best judge as to if you’re a candidate for the class. 4. Seek out a Certified Sisterlocks Consultant with an R Certification. 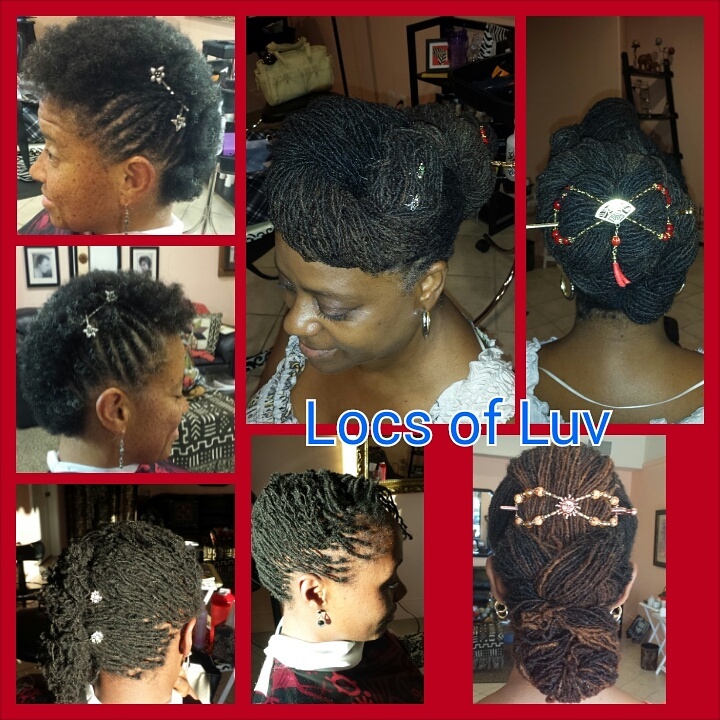 This means that the Consultant has been authorized by the Sisterlocks home office to offer the Sisterlocks re-tightening class. 5. You will be required to sign an agreement that you’re learning the technique in order to maintain your own hair, and that you’re not authorized to do Sisterlocks on anyone’s hair but your own. 6. Be prepared to pay the price for learning the class. The prices may vary, they can range from $250.00 and up. 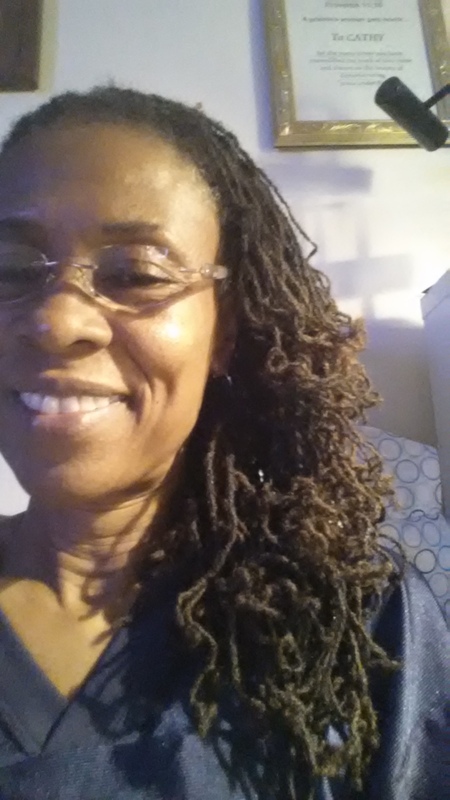 For the past 15 years as a Certified Sistelocks Consultant with an R Certification I’ve re-tightened my Sisterlocks for the better part of 13 years, partly because Dr. Cornwell cut the apron strings and set me free early on. Some of the things that have helped me to maintain my Sisterlocks over the years are following the instructions that were given to me during the class. Learning to re-tighten your locks isn’t for everyone, it takes time and commitment to following the instructions given. 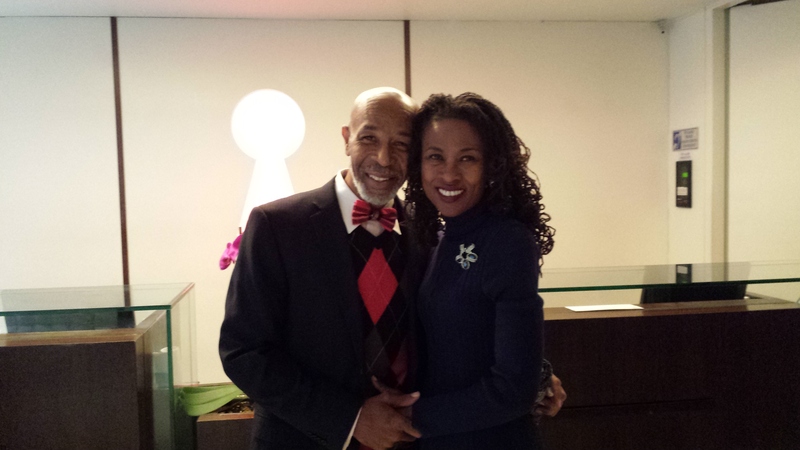 It’s always good to visit your Sisterlocks Consultant at least once a year to ensure that you’re staying on track. I hope the above steps will assist you in making that decision. If this was helpful please let me know in the comments section. Thanks you! 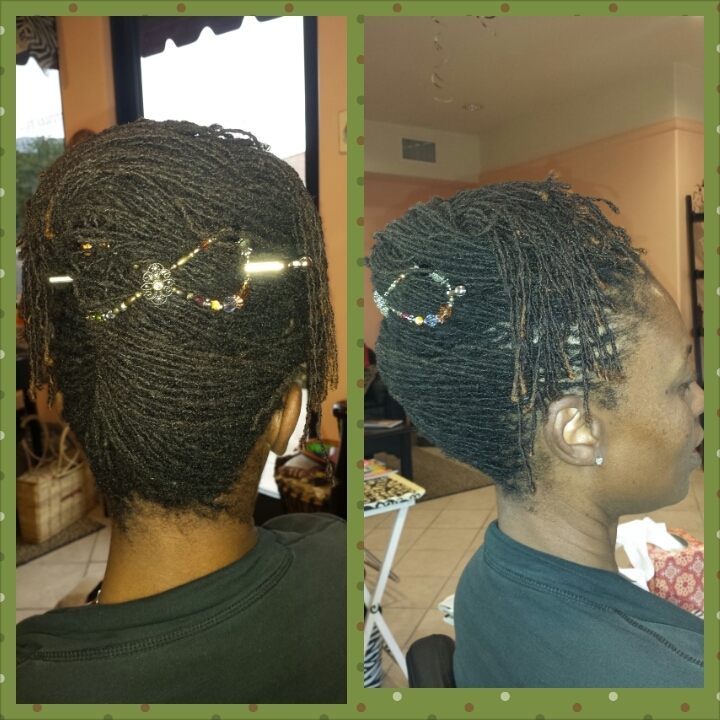 What’s a consultant to do when your client arrives for her Sisterlocks appointment looking this lovely? You do an impromptu photo shoot. Silverlocks will celebrate two years Sisterlocked this coming December. 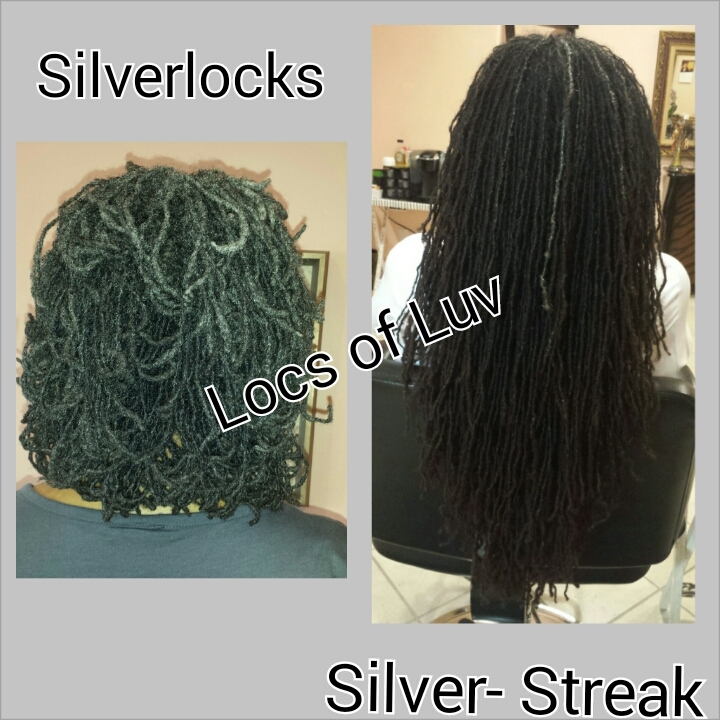 Silverlocks started out with approximately 1 1/2 inches of natural hair. The characteristics of Silverlocks hair are as follows…Rough cuticle, this is a great asset especially with shorter locks. The rough cuticle enables the locks to not slip as much when shampooed. In addition to a rough cuticle Silverlocks has mega dense hair with a short curl pattern. Silverlocks’s scalp in the beginning was dry and flaky. When we would retighten her locks the cape would be covered with dandruff. With the extra shampooing that was necessary to assist with her scalp the locks slipped quite a bit, especially the ones in the back. Silverlocks was able to remedy her dandruff problem by changing her diet, exercising and drinking more water. It’s been a beautiful journey and we look forward to celebrating her upcoming two year Locaversary in December. Weekend Ready…Have a great weekend! Who’s Ready For the Weekend??? Weekends for me have changed immensely over the years since I started my Locs of Luv business, in times past Saturdays and Sundays were the weekend for me. Two days to relax, worship and hang out with family and friends. In the business that I’m in weekends are for some of my clients the only days they have off, so Saturdays and on occasion some Sundays after worship you’ll find me at the salon handling my business. As a Certified Sisterlocks Consultant I’ve figured out how to make it work. My weekends are now throughout the week, on those days off I make sure to spend time with family and friends and get a little R & R in. I’ve been blessed with a wonderful clientele and enjoy every minute of my time with them, many of them have been in my life for years. The hours that we spend together are filled with positive and encouraging conversations. We pray for each other, share each others burdens and boy oh boy do we get our laughs in, and on some rare occasions we’re simple quiet together. My weekends are different from most but enjoyable nevertheless. 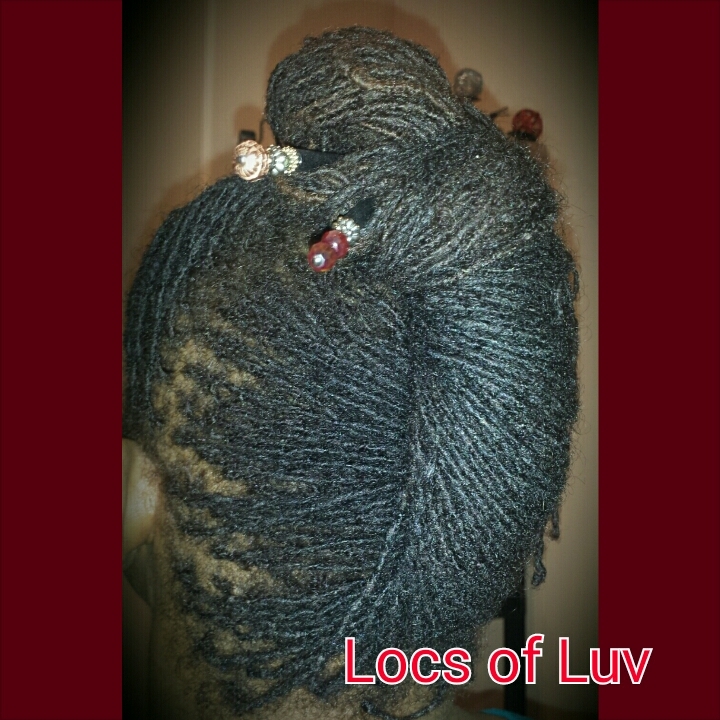 Enjoy your weekend and if you’re in my area swing by and say hello to me at Locs of Luv. Lord bless I’ll be there locking and styling away. It’s been almost two weeks and the curls are still hanging in there, a little loose but still there. 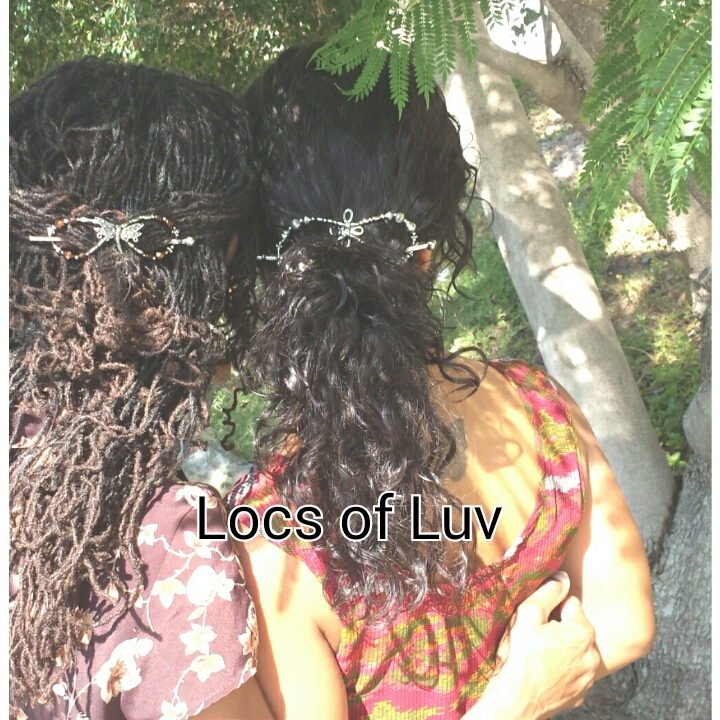 Most Sisterlocks wearers can wear their braidouts/curl styles long after the rollers and braids are taken out. Just keep in mind to not over saturate the locks before braiding or rolling and remember to allow them to dry completely. For tighter curls use less hair when braiding or rolling your hair. 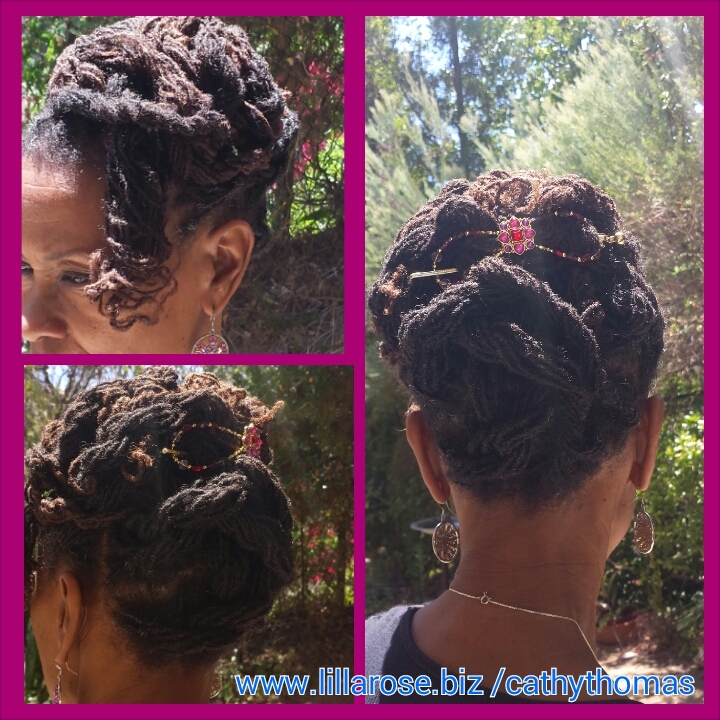 Lilla Rose Hair Jewelry Rocks!